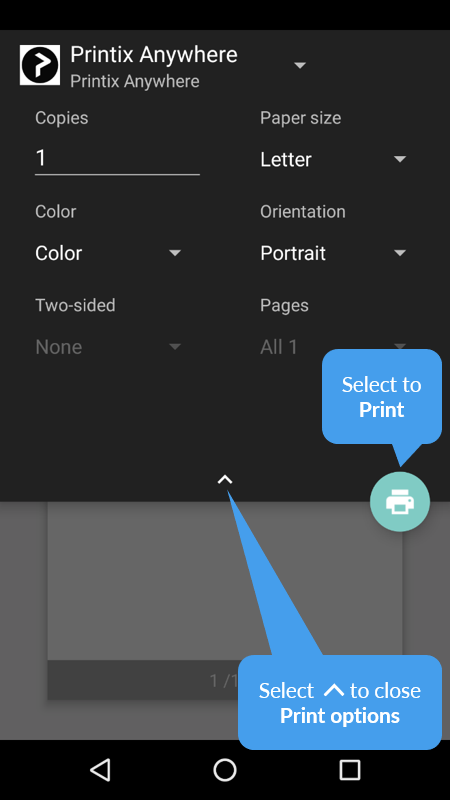 On your Android phone or tablet open the app you want to print from. 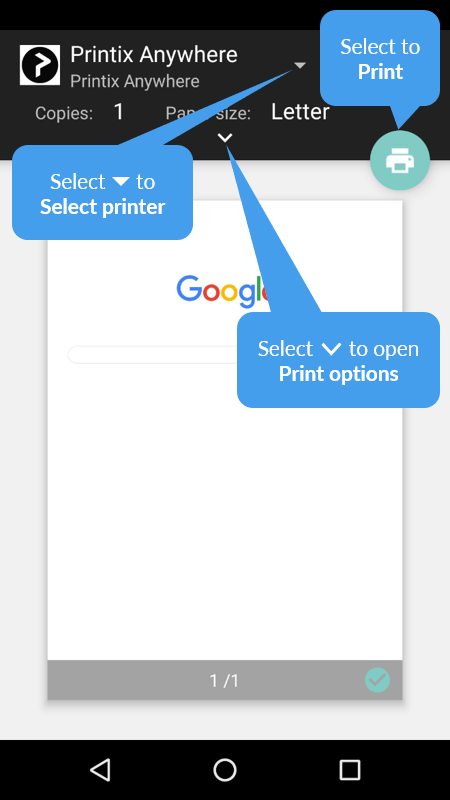 To find the print option, select the Menu icon at the upper-right corner. If you can not find the print option, read the app’s documentation. 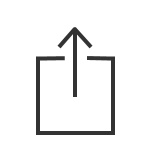 Select the down-arrow to the right of the currently selected printer (Save as PDF) and choose your Printix printer. Select the printer. 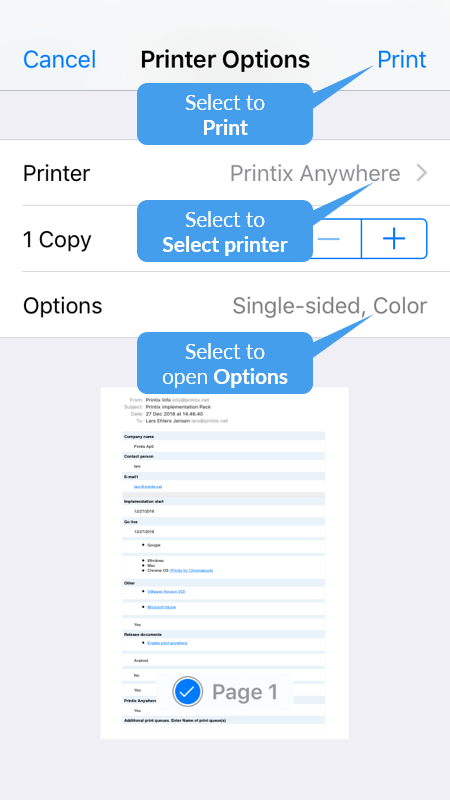 Optionally choose the number of Copies and other Print options. If this is the first time you are printing to this printer, a Use Printix App? dialog may appear. Select OK. 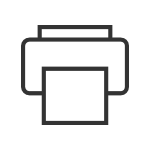 Select Print icon to print. You print to a Printix Anywhere printer. You are subject to Must print securely or Must print later by default. 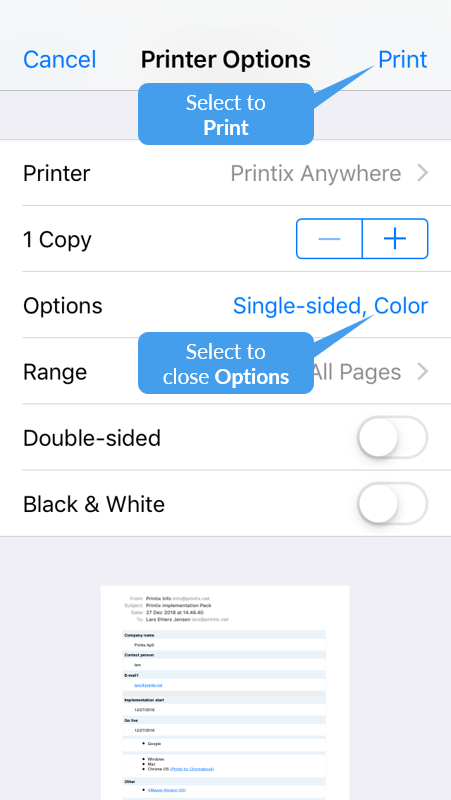 On your iPhone or iPad open the app you want to print from. If you can not find the print option, read the app’s documentation. Not all apps support AirPrint. Select Select printer and choose a Printix printer. If this is the first time you are printing to this printer, it will appear locked and a Password required for “printer” dialog will appear. 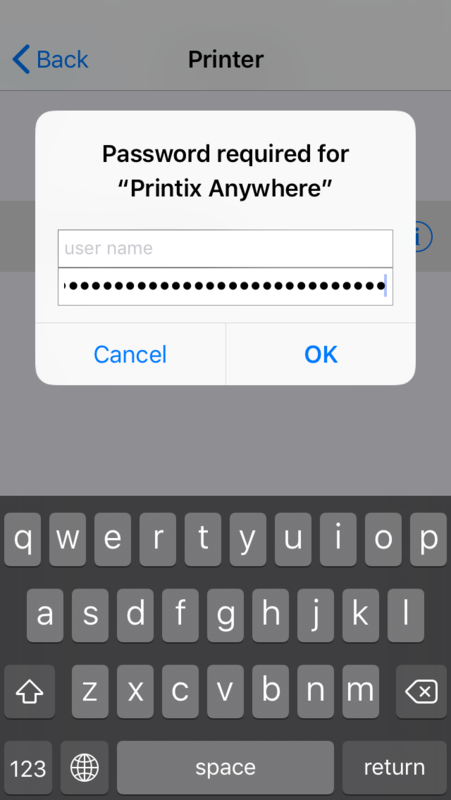 To unlock the printer you need to enter your AirPrint password which you can get from the installed Printix App for iOS. Select Print in the upper-right corner. Document is printed. On your iPhone or iPad open Printix App for iOS. If you do not see this menu item, then try to close and open Printix App. 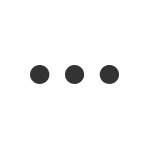 Select and hold the password text until the text magnifies, then remove your finger. Select Select all, and then select Copy. Switch back to the Password required for “printer” dialog. Select the Home button twice. Swipe left or right to find the app. Select the app. iPhone X: Swipe up from the bottom to the middle of your screen and hold until you see the App Switcher. Swipe left or right to find the app. Select the app. Paste the password in to the password field. Select and hold the password field until the text magnifies. When it shows up you can remove your finger and select Paste. You can leave the Username empty. *You only have to do this once per AirPrint printer. The AirPrint password is personal, but is the same for all AirPrint printers.